Fury is made of the highest quality materials available in modern knife craftsmanship, using premium grade 154 CM stainless steel, known for its strength, corrosion resistance and excellent edge quality. The durable handle is aircraft aluminum with stainless steel internal parts that are precision machined in the USA, and features a stainless steel glass breaker. 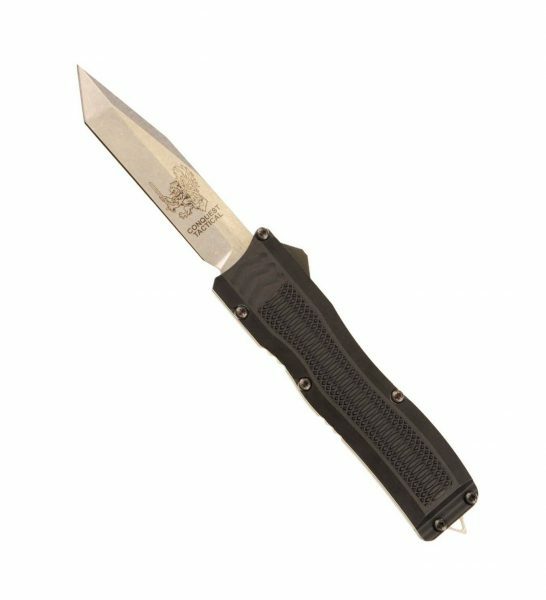 An OTF knife offering maximum grip and performance!